The president of the March for Life says next week’s annual event featuring thousands of pro-life activists is celebrating that babies are “unique” from the first moment of conception — as science and technology have revealed. “As we know, advancements in science and technology really support revealing the humanity of the child in the earliest stages in the womb,” Jeanne Mancini told Breitbart News in a phone interview. “There have also been so many advances in prenatal surgery — just remarkable advances,” she added. Confirmed lawmakers speaking at the March for Life rally are Republican Sen. Steve Daines of Montana; Democrat Rep. Dan Lipinski of Illinois; Republican Rep. Chris Smith of New Jersey; and Louisiana state Rep. Katrina Jackson, a Democrat. Abortion is the critical issue of our lifetime, and not just for the obvious reason. 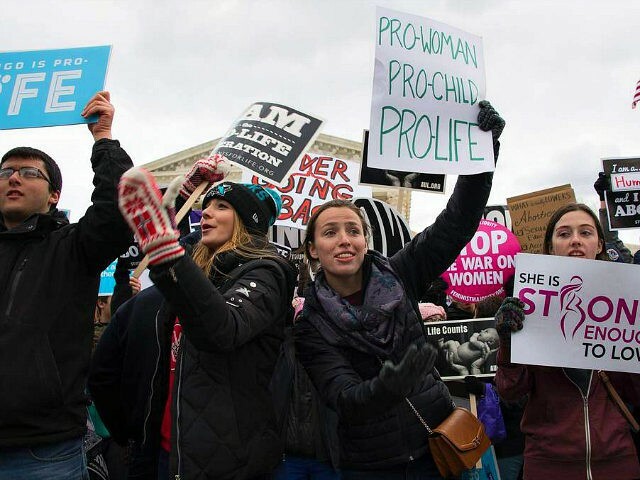 Also speaking at the March for Life rally are Ben Shapiro, editor-in-chief of the Daily Wire; Abby Johnson, former Planned Parenthood director and founder of And Then There Were None; Dr. Alveda King, pastoral associate and director of Civil Rights for the Unborn; former abortionist Dr. Kathi Aultman; Ally Cavazos, president of Princeton Pro-Life; Archbishop Joseph Naumann, chairman of the United States Conference of Catholic Bishops Pro-Life Activities; and Supreme Knight of the Knights of Columbus Carl Anderson.